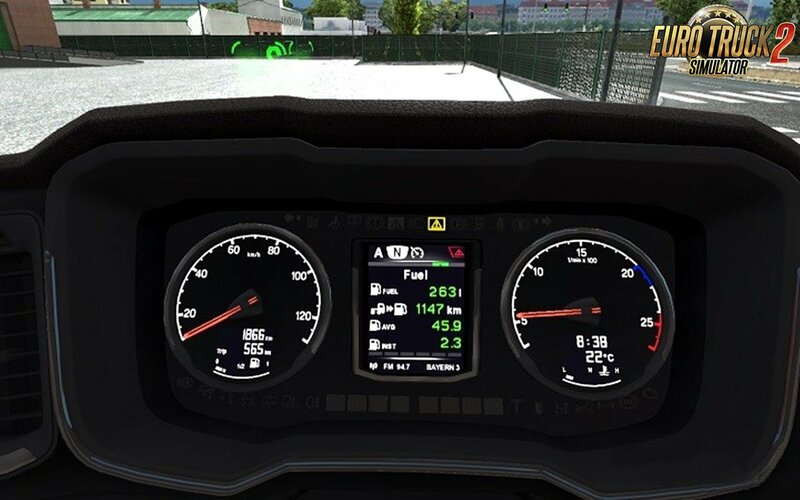 New Gen Scania dashboard computer update for 1.32. 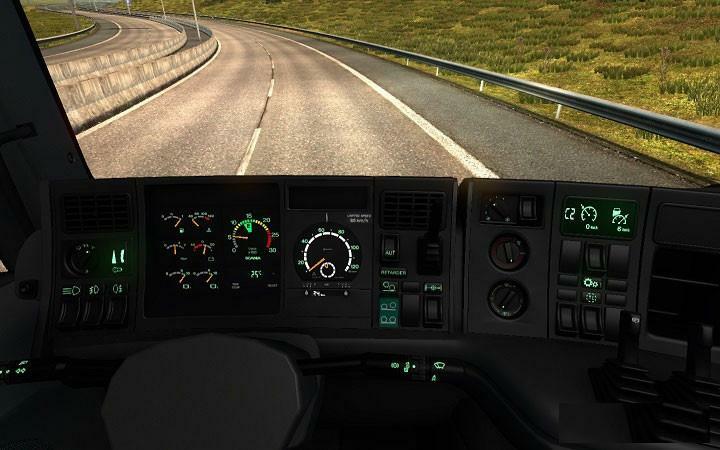 Added steering wheel animation, lift axle indicator animation. Big thanks to AlexeyP for model update. 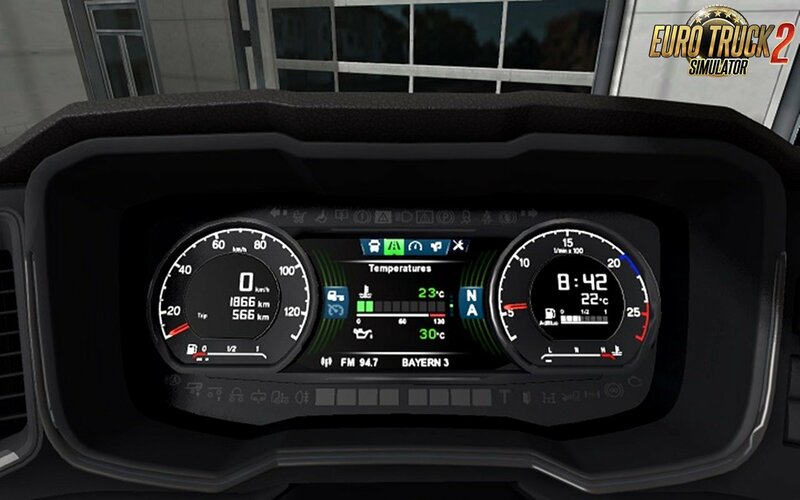 All others addons like a V8 logo and custom dashboards set will work with this mod update. Overall Dashboard brightness is a bit more than was before. Now I don't know how to fix this issue. If you find solution - please let me know.